The path off the "high road of humility" will have some bumps. As the national political pause ends Thursday with the burial of former President George H.W. Bush in Texas, there's little left to deflect attention from some uglier storylines in modern-day politics. Lame-duck power grabs are underway in Wisconsin and Michigan. A widening election-fraud scandal could become a criminal matter in North Carolina, with a House seat unfilled. A government shutdown looms. And amid reevaluations of legacies and presidential body language, this moment of the Trump presidency is controlled squarely by special counsel Robert Mueller. This week's new details about former national security adviser Michael Flynn's cooperation could be followed with details ahead of the sentencing of the president's former personal attorney Michael Cohen. There should also be more information about former Trump campaign chairman Paul Manafort and the lack of help Mueller is claiming his team got from. President Donald Trump's relative quiet this week hasn't extended to his rants at Mueller's maneuverings. It all makes this week's remembrances feel disconnected to the realities swirling in the rest of Washington. 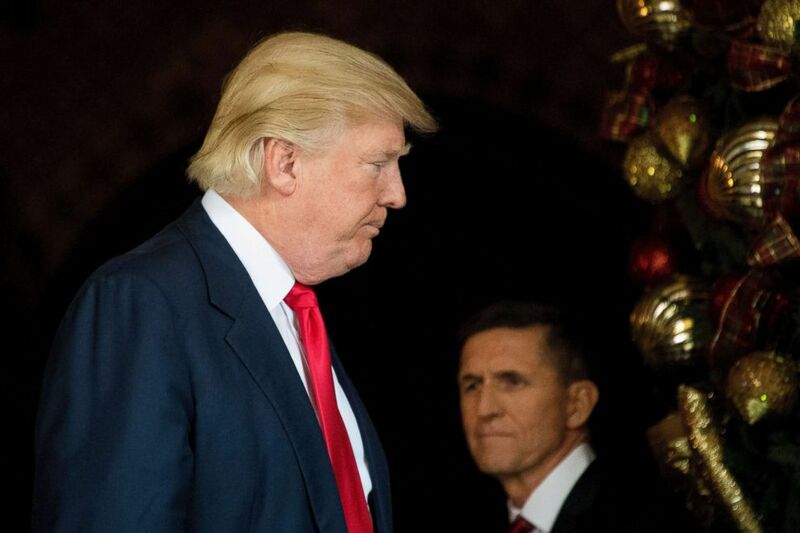 President-elect Donald Trump stands with Trump National Security Adviser Lt. General Michael Flynn at Mar-a-Lago in Palm Beach, Fla., Dec. 21, 2016. For the first two years of the Trump presidency, the term "voter fraud" has been tossed around again and again as a great scourge on America's electoral system. But confronted now with perhaps an egregious case of election-related fraud, Trump and the national Republican Party seem to have gone completely silent. 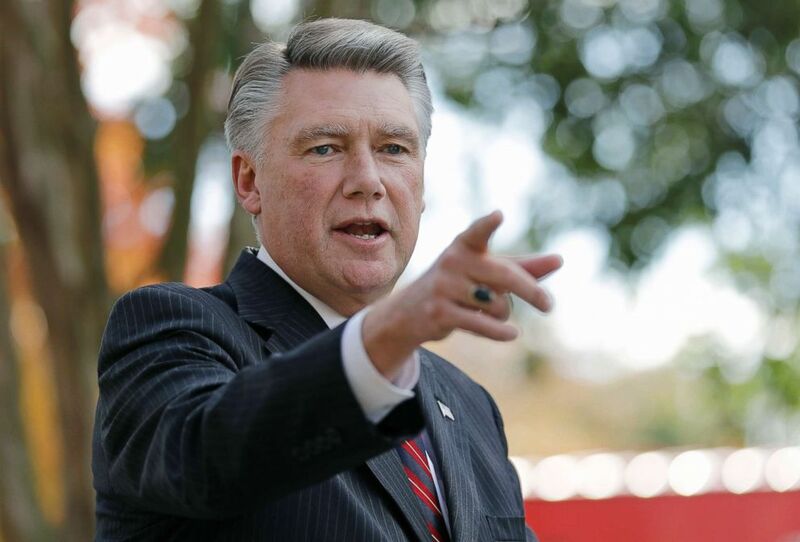 The result in North Carolina's 9th Congressional District remains in limbo as the state Board of Elections continues its investigation into an alleged election-fraud scheme that's captured national attention. The silence from a president who's trumpeted tall tale after tall tale about election fraud, and a party that's has largely left those outlandish claims unchallenged, is deafening. After speculation about a presidential run swirled around him for years -- as it has for many of his fellow Democrats in recent months -- former Massachusetts Gov. Deval Patrick finally concluded this week that he will ... not run. That decision, confirmed to ABC News via an aide with direct knowledge of the situation, is a somewhat novel development from within the nebulous sphere of potential 2020 candidates. With upwards of 20 Democrats said to be seriously mulling campaigns, it's an inevitability the field will need to be pared down, even before the first Iowans head to their caucus locations. Though the longshots may have Trump's improbable rise from outside the political landscape in mind, the reality is it's unlikely that any candidate could match a billionaire reality star's built-in celebrity status. Trump's longtime confidant Roger Stone will speak at the three-day American Priority Conference at 3:15 p.m. in Washington. Acting Attorney General Matthew Whitaker offers opening remarks at the Project Safe Neighborhoods Awards Ceremony at 10 a.m. in Kansas City, Missouri. House Minority Leader Nancy Pelosi hosts the annual holiday reception for the Capitol Press Corps at 4 p.m. on Capitol Hill. Adviser to the president Ivanka Trump joins Sen. Mark Warner, D-Va., and Rep. Debbie Dingell, D-Mich., at a CEO roundtable innovation summit in Washington at 1 p.m. The architect of the Capitol hosts the lighting of the U.S. Capitol Christmas Tree, an 80-foot noble fir harvested from the Willamette National forest in Oregon, at 5 p.m. on the west front lawn of Capitol Hill.